Greta Pratt may not be a street photographer per se but the portraits and moments in her 2005 Steidl book “Using History” are documentary in both slant and practice, and quite a few contain quick insights that remind me of good street photography. Like the cover! What impresses is her ability to take photographs like these in addition to more traditional, staged portraits. 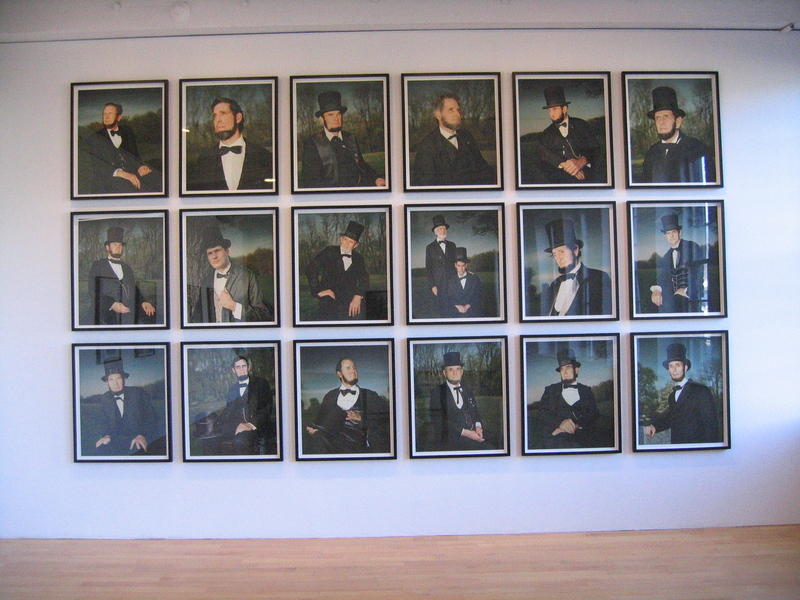 And all fall neatly into her project’s conceit, which looks at the relationship between Americans and their country’s history, or lack thereof. 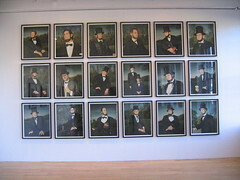 Her wall of 19 Lincolns currently up at Mass MoCA is a highlight of a well-organized, cohesive show called “Ahistoric Occasion: Artists Making History” (through April 27, 07) that looks at how artists (in all genres) address, synthesize, and remake history.